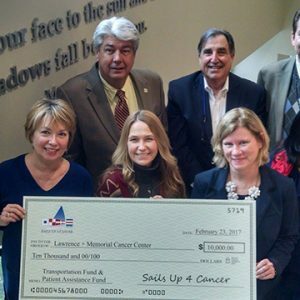 Sails Up 4 Cancer is proud to announce the fulfillment of a $10,000 grant request to L+M Cancer Center in Waterford, CT. The donated funds will be used for their Transportation Fund and Patients Assistance Fund. As a sub-part of the Patients Assistance Fund, L+M has established the Single Women/ Head of Household Fund. Sails Up 4 Cancer is a 501 (c) 3 non-profit organization dedicated to funding research, education, care and prevention for all types of cancer. “As they always do, Sails Up 4 Cancer has recognized an important cancer-related need in our community and stepped up to fulfill it. Very often, there is so much focus on cancer and the appropriate cures for it that some of the important incidentals such as reliable transportation to and from treatment can be overlooked. That is why we are so privileged to have a knowledgeable and generous partner like our good friends at Sails Up 4 Cancer. Their support for our Cancer Center and our patients over the years has been nothing short of incredible,” said Bill Stanley, Vice President of Development & Community Relations at L+M Hospital. “The Cancer Center is so grateful for the grant money from Sails Up 4 Cancer. We all know someone who is affected by cancer, and with the monies from this grant, we can help patients that may have no transportation to get to the Center to receive their treatments. The additional money from this grant will help with programming for our women who have minimal support at home,” said Cathy McCarthy, Oncology Licensed Clinical Social Worker at L+M Cancer Center. The Connecticut Spring Boat Show is expecting over 70 boats varying in size from 20-75 feet to journey to the second annual 2017 Spring boat show. The exhibition is set for May 5-7, 2017 at Brewer Essex Island Marina located in Essex, CT and will attract interested boat buyers from Connecticut, New York, Rhode Island and beyond. The show is a production of Windcheck Magazine and is sponsored by Brewer Essex Island Marina, Essex Boat Works, and the Yacht Brokers Association of America (YBAA). For the third consecutive year, Sails Up 4 Cancer, a Connecticut-based non-profit organization, is the beneficiary. Working with Marley’s Restaurant, a percentage of food and beverage sales go to SU4C who are dedicated to supporting cancer care, education, prevention and research. For further information, please visit: www.su4c.org. Visitors attending the free show will enjoy seeing a wide range of new and brokerage, power and sail models. Boating gear, accessories and service companies will also be on site. Additionally, family friendly events are planned for the entire weekend – lawn games, face painting and more! Three talented bands. Beautiful venue. Awesome charity. On Thursday, March 2, 2017 from 7 – 11pm, Support Sails Up 4 Cancer and enjoy three amazingly talented local bands at Olde Mistick Village’s Luxury Cinemas (Coogan Blvd.). Newly renovated, the cinema offers the best seating, sound and now offers beer and wine. Tickets are $10 at the door or in advance at www.su4c.org. Wooly Mammoth kicks off the evening. Wooly Mammoth is: Gray Hallberg on Lead Guitar & Vocals, Erik Laisi on Drums, Toby Halsey on Rhythm Guitar and back up vocals and, Mike LaChance on Bass – they have played Mystic Blues Festival, Mystic Eats, the Air & Sea Celebration and play often at The Daniel Packer Inne. The second band is The Hoolios; they are a diverse group morphing from solo singer-songwriter Jim Carpenter to an acoustic quartet and six-piece rock/dance band depending upon the venue. The Hoolios have garnered an excellent reputation for their Americana/Rock/Latin and Zydeco grooves, featuring three lead vocalists, accordion, mandolin, washboard and organ. Green Tea closes out the evening. Green Tea is Toby Kniffin on Guitar and Vocals, Jamie Conroy on Guitar, Amie Coffey on Vocals, Michael Chicoria on Keys, Jay Hartley on Drums, Marty Moroney on Bass and Gino Maiorano on Percussion. Green Tea was formed in 2001 when members of Third Stone & Beggars Bash got together to make some music, jam and share ideas. Over 15 years later, Green Tea is going strong with a wealth of original material, four CDs and contagious momentum. Music influencing the sound of Green Tea ranges from the melody and magic of Garcia/Hunter, to the driving rock n roll and melody work of the Allman Brothers. Mix that with a Dylanesque writing approach that focuses on the lost art of “the song” and you get Green Tea. Canvases for a Cause is a month-long marine art exhibition and sale to benefit Sails Up 4 cancer. All are welcome for amazing art, delicious appetizers, music and cash bar. Past exhibitors include: Doug Aaberg, Ralph Acosta, Del-Bourree Bach, David Bareford, Peter Barrett, Pam Carlson, Jean Dalton, Bill Davidson, Sadie Devore, Sandy Garvin, Luther Kelly Hall, Blaney Harris, Wendy Jacobs, Tod Johnstone, Russ Kramer, Gerald Levey, Sarah Stifler Lucas, Ian Marshall, Liz McGee, Howard Park, Robert Perkowski, Clancy Philbrick, Dennis Sirrine, Jennifer Welch and Christa Whitten. Over thirty new works will be offered to the public with a significant portion of art sales going directly to help fight cancer. 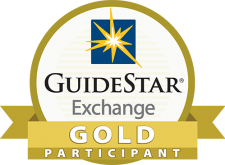 SU4C is a non profit organization dedicated to funding research in the education, prevention, and cure for all types of cancer through the art and enjoyment of sailing.